not the U.S. Diesel engines have a bad rap here. Just ask Jerry Doble; he used to drive a diesel truck. the fuel, itself, is cleaner than it used to be. million – now it has only 15 parts per million. diesels aren’t the first thing that come to mind. There’s a couple of things going on in that commercial. trying to push diesels as green, muscle cars. says these commercials are having some success. 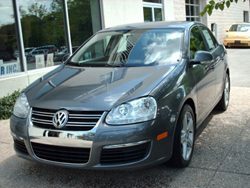 week, he sold a TDI Jetta to a dietician. ago, I would have said, ‘wow, you want to look at a diesel? Diesels cars still makeup less than 1% of the market. focused on good gas mileage. sales in the U.S. in the next few years. marketing to make a huge dent in American car sales. That’s when the new federal fuel standards take effect.